Ceeeeeeeelebrate good times, COME ON! I know what you’re thinking…“What?! Not another Celebration. I haven’t fully recovered from the last!” Well guess what...I hate to break it you, but the streamers are in fact falling, the balloons are flying high and the champagne is pouring...well maybe not literally. You may be wondering why the celebration as Christmas and New Year are truly over, but incase you may have not realised...ITS KA5THLEEN'S ONE YEAR BLOG-IVERSARY! It has been a year exactly since I took over this tiny space that you have stumbled upon on the big wide net back on the 22nd February 2014! Can you believe it? 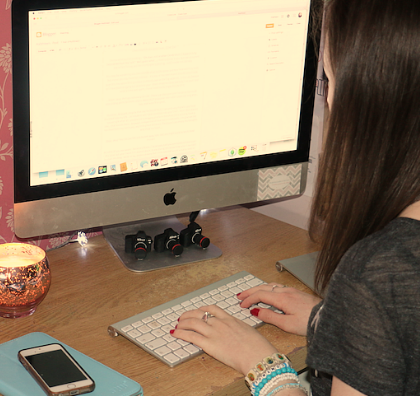 I have been blogging for an entire year - that's three hundred and sixty five days! And what a time well spent, I have loved every single minute of it! …Hmm, okay. Perhaps not every minute. There was that one time I wrote a mammoth size of blog posts for them only to magically disappear into cyber space not long after. That wasn’t so great. Okay, okay! You can put the sick bucket away, I am not one for soppyness either, instead you might want to fetch a tissue or two! As some of you may or may not know, this time last year I wasn't in a great place. I was 16 and still picking myself up after loosing a much loved relative. 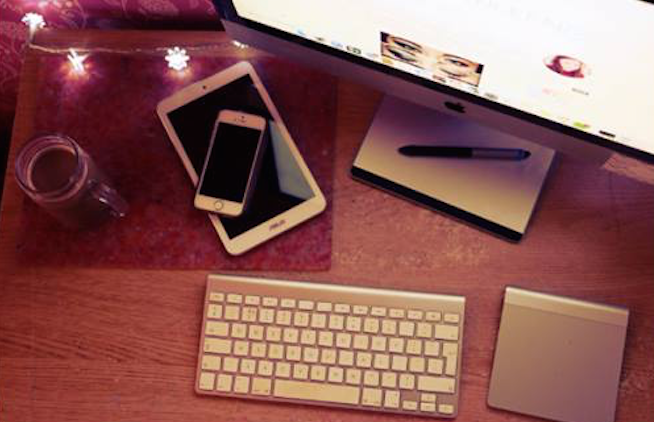 It was during this dull time that I decided to start this blog. Never in my wildest dreams did I think anyone would actually read it! 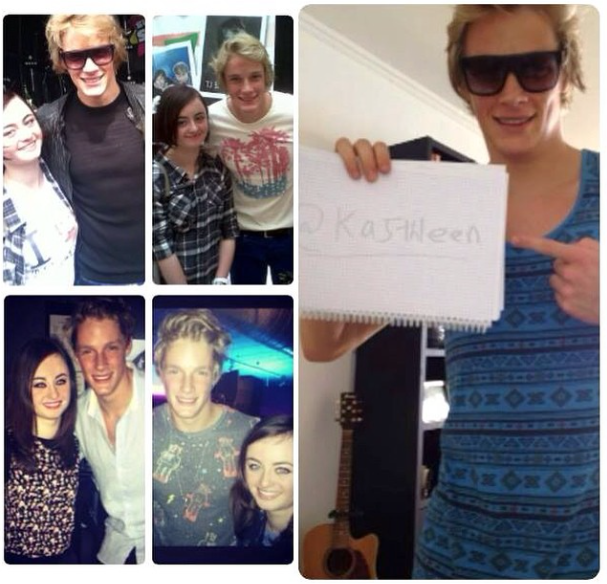 I would of never thought Ka5thleen would be where it is today. I said in my first post that I didn't know if blogging was something I was going to keep up. 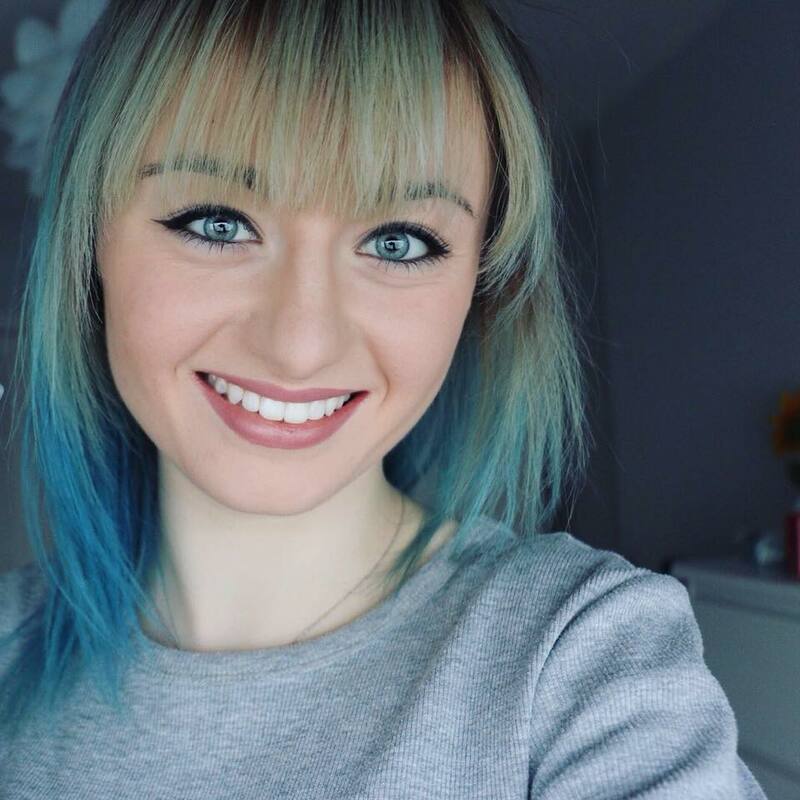 Two months down the line in April, it had become clear in my mind that blogging was what I wanted to do in life and with a couple of short breaks here and there, it is still as clear if not clearer that I was meant to do this. I have changed the layout and how I do things a number of times and I still am not 100% happy with it. This is because my mind is always circulating new ideas and ways to improve not only how my blog looks but how it is read. Lastly, I just want to say I truly appreciate all your support and love and want to thank each of you from the bottom of my heart. It has been a wonderful experience so far. 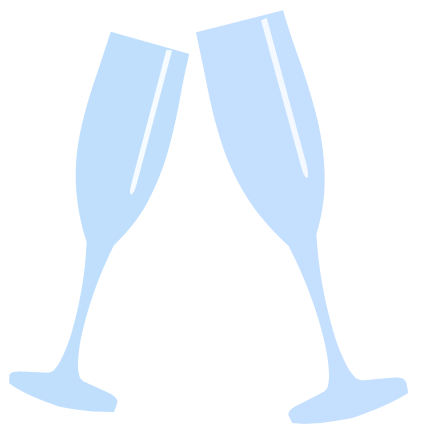 Here’s to, hopefully, many more years of blogging! Now let’s sit back, guzzle endless cups of tea and cozy in for a night of movies! This year I have decided to mix things up a little bit and change monthly favourites to monthly round ups! You might be wondering what the difference is; now I will be including what I've been watching, doing and things I am looking forward to as well as including a couple of monthly favourites! Watching: Eastenders. Other than that, I don't really watch TV. With that said however, I had finished season one of American Horror Story within only two days! I really don't like horrors, so didn't think I would like this but was I wrong! Doing: I had a fair amount of revision to do for prelims (especially close reading, ugh! ), whilst I started using my DSLR camera a lot more. I got up at 5:30am on the 29th to head out with my dog and camera to catch the sun rise. On top of this I done lots of blog planning, drinking a lot more water...and tea...which isn't as good...but overall eating healthier and drinking more smoothies. I started to plan my first YouTube video...but hasn't gone too well..expect a delay in that. And finally, I had been contacted by a couple of companies and I can't wait to show you some of the projects we're working on! Looking forward to: Starting YouTube, watching season two of American Horror Story, finding out who killed Lucy in Eastenders. Oh and the one Year Birthday/Anniversary of my blog is coming up this month (22nd of February)! This season I have felt a bit more daring when it comes to lip colour and have purchased a few dark coloured lipsticks in the past month or so, including this one. I think that this colour would suit all skin tones if you are daring enough. The formula is super creamy and moisturises the lips and I have found that it lasts a good amount of time but when you feel like you need to re-apply it, it doesn't go lumpy like some other lipsticks. Lastly, the pigmentation is quite powerful but you can always go kissing tissues and cotton wool pads to blot the excess off and tone it down. I have worn this lipstick a lot this winter and have received many compliments for it. This was actually the first major dark lipstick I bought in mid-November as I wanted to try out a dark lippy before splashing out more money in case I didn't like it on me. That's why I can always rely on MUA to produce cheap products that are of a good standard when I feel like testing out something new. 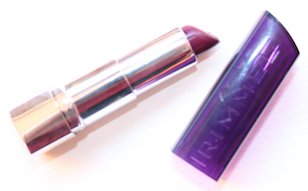 I have been using this lipstick almost as an everyday make up product as the colour is a rich, cherry red. However this shade is a lot more redder and brighter than what I wanted at the time but now I actually have grown to like it. The only major disadvantage is that the staying time isn't the best - you can possibly make it 4 hours if you were careful. But what do you want for a quid? In this case you certainly get what you paid for if not more. 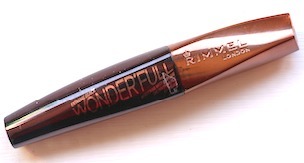 After spotting this golden goddess of mascaras in a 'Any 2 Rimmel products for £10' deal in Superdrug, my hands reached out instantly to it. I was skeptical at first because since it has argan oil added to it so I thought it would cling to eyelashes as well but I was wrong. 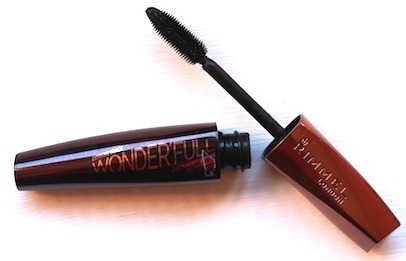 This Wonder'Full mascara covers every lash from top to bottom...well root to tip and adds length and volume whilst separating each lash to give a fuller but lengthier effect. After application I didn't feel like my lashes were caked or heavy so much so, I could rub my eyes and it stayed put. I'd say this is a makeup bag must have! I had my eyes on this coat with a faux-fur removable collar since early September when I was hunting for a new winter coat. 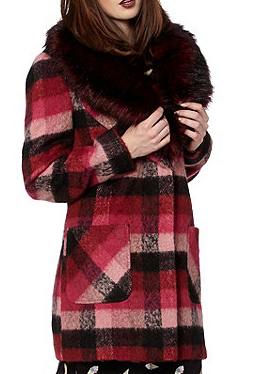 This cherry coloured check coat is certainly the cream of the crop. Seeing the price of it at almost £90 did put me off but on Christmas day I had a lovely surprise when I was given this from my Uncle! I've barely taken it off! 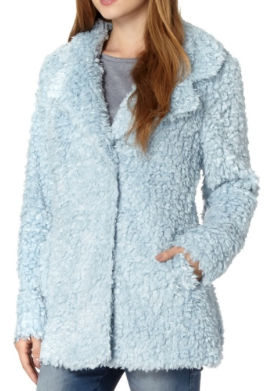 I got this beautiful, fluffy coat as a gift at the end of November from my mum as she knew I was looking for a new coat to keep me all snug and warm this winter, and boy does this baby blue heavily coat do that! I even love it more as blue is my favourite colour. If I haven't be wearing the H! by Henry Holland coat, this has been on my back. I hope that you have enjoyed this months (well Januarys) round up and like the new adaptation. After taking a week off from blogging due to prelims, I am back with this weeks #MusicMonday. This weeks choice of song is by someone who I have been supporting for about..3 years now since he came to our school to preform. Thinking Out Loud- Originally by Ed Sheeran, covered by TJ Bilham. 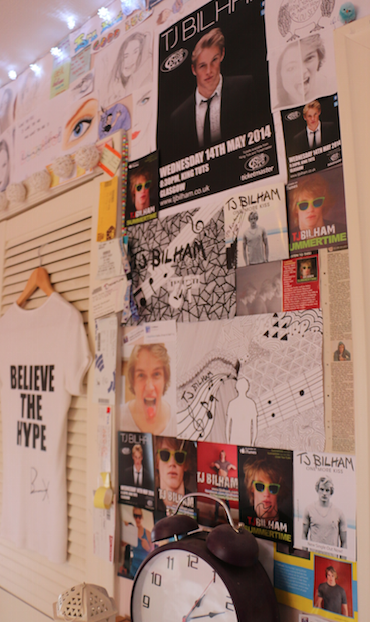 Some people reading this may already be aware that I am a fan of multi-talented singer/songwriter, TJ Bilham. Like I said, I first heard about TJ Bilham about 3 years ago when my school announced that he was coming to preform at our sports day and my FCT teacher at the time, decided to pull up a video on youtube of him covering a very popular Script song. 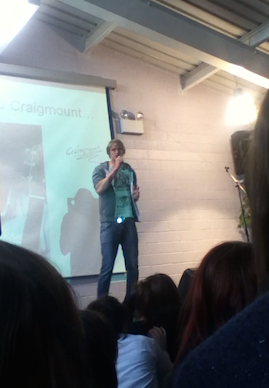 When TJ Bilham came he preformed two of his songs, Summertime and One More Kiss. To be honest I didn't take much interest at the time until a a few days after I followed him on twitter and got into a conversation about playing guitar and then embarrassing myself by not realising Monaco was in France (You wouldn't believe that I have taken Geography right through high school). 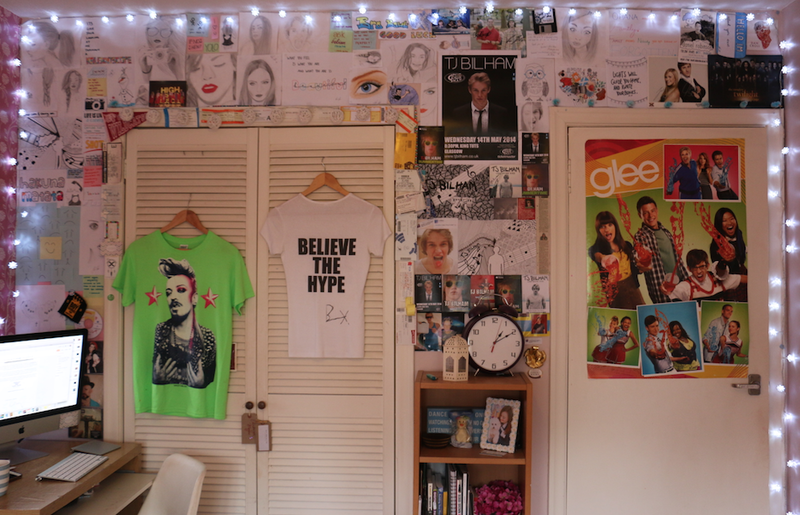 Fair enough, only part of the wall (middle section) is coved in 'TJ Bilham' posters and stuff but it is still quite a lot! Moving on swiftly. Over the past couple of years, TJ has preformed gigs and has supported many HUGE names such as Steps, Peter Andre and Sir Tom Jones! As well as the British Forces Foundation inviting TJ at the end of 2013, to preform at Camp Bastion, Afghanistan, along side Katherine Jenkins! TJ Bilham is a name to look out for in the future as he is always writing "#newmusic" and uploading covers to YouTube. Also, if you haven't already, check out his music, maybe give his Facebook a like and even shoot him a tweet on twitter.